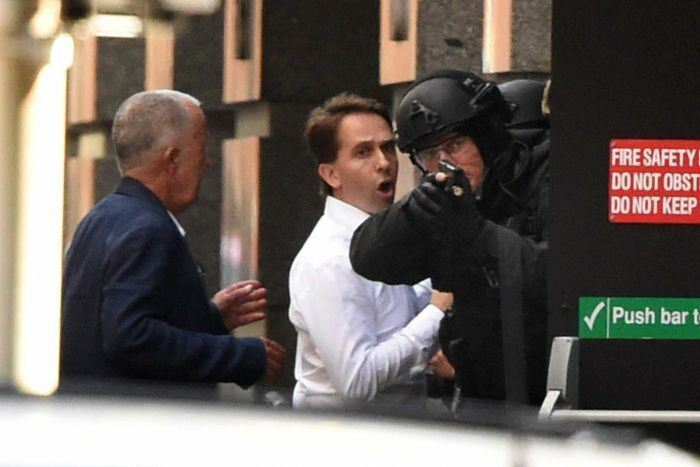 Terrorism came to Sydney this week in the guise of a deranged gunman — a self-styled Sheik, who took 17 hostages in a Lindt chocolate café in the CBD of one of the world’s greatest and safest cities. Many Australians spent the day watching the rolling coverage on television, covered by all the channels, including Channel Seven, with studios directly opposite the café. A Seven cameraman, Paul Walker, had the presence of mind to leave his camera on a tripod focussed on the door where the first hostages escaped, after all the media was told by police to leave the front of the cafe. It enabled viewers and news outlets to see the dramatic footage of hostages escaping, but the networks were careful to avoid showing any pictures of violence. December in Sydney is supposed to be the start of the silly season – the name the media gives to the summer months of December and January until Australia Day on January 26. All those people laying flowers at Martin Place would have normally just been shopping, having lunch, seeing the tourist sites, going to the beach – the things we do in summer. Now in the back of our minds, there may be a nagging concern – is this shop or restaurant or café or pub or stadium going to be the target of some crazed criminal, or worse, a terrorist. 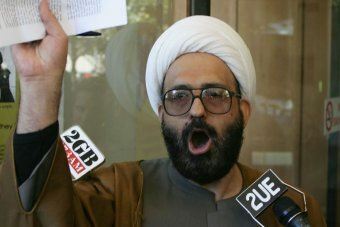 That is why Tony Abbott said on Monday: “Australia is a peaceful, open and generous society. Nothing should ever change that, and that’s why I would urge all Australians today to go about their business as usual.” Easy to say, but sometimes hard to do. Wow! I read Meade’s article and thought she was right, then I read Birmingham’s piece and thought he was right, too. I have been in television control rooms for terrorist attacks and disasters that called for rolling coverage, including 9/11, the Bali Bombing, the death of Princess Diana and the Black Saturday Victorian Bushfires, to name a few. When a big story breaks, it’s all hands on deck, and there’s always a lot to talk about. When you have plenty of pictures, it makes it easier. But the moment you go to a commercial break or resume normal programming, you might miss something important, so you need to stick with it. I was happy that the commercial networks kept going with the story, especially Channel Ten, which has lost so many news staff in recent cutbacks. I expected Sky News and the ABC to roll on with the coverage, because that’s what they’re good at. When I got tired of looking at the same shot of the Lindt café, and olay of the hostages being forced to put their hands on the store window, I switched over to ESPN where I could watch the Philadelphia Eagles play the Dallas Cowboys in a National Football League match being broadcast in Philly. Fortunately, I have Foxtel IQ on my television so I could fast forward through the game. I found myself going back to Sky and the ABC and Seven and Nine and Ten (SBS didn’t have live coverage when I switched over so I didn’t bother going back). I watched the coverage until 10.30pm, except for a brief eye doctor’s appointment in the afternoon. I had a feeling something would happen overnight, and it did. I would normally tweet information if I thought it was something new, and could be confirmed. I was monitoring Twitter and gave up. So I can understand how John Birmingham felt. But I was happy to see that all the news channels were covering what was an important story – responsibly. In fact, Commissioner Andrew Scipione publicly thanked the media for its responsible coverage. Now all we need is a channel that will give the same sort of coverage to the murder of more than 130 children in Pakistan by Taliban terrorists – wait a minute, we’d need a correspondent in Pakistan, wouldn’t we? Will the ABC still have one next year? Or will Pakistan be part of the restructured foreign bureaux with “multiplatform hubs” in Washington, London, Beijing and Jakarta. Watch this space, and pray that we never have a real Islamic extremist terrorist attack. Oh, I almost forgot. Merry Christmas. And, despite the past few days, peace on earth and good will to men and women. 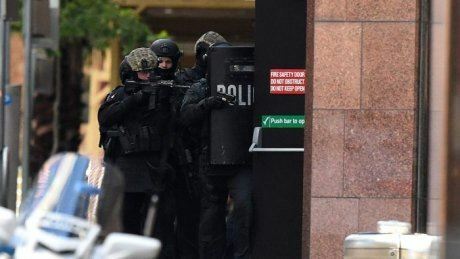 My prayers and thoughts go to the family and friends of the hostage victims, the survivors and all the police and services who were involved in the siege … and more power to all those flower people in Martin Place.